ZEN-GAME Was Awarded with GMGC TIANFU Award “the Most Relaxing Chess & Cards Game of the year of 2017”. The 6th Global games developers conference & TIANFU Awards ceremony, organized by GMGC, was held in Chengdu on Nov. 3, 2017. Fight the Landlord Everyday(Real Players Version) stood head and shoulder above a lot of hot games and won “the Most Relaxing Chess & Cards Game” award. Having been subjected to layers of screening including public votes, data evaluation, industry senior specialists scoring, etc, ZEN-GAME’s Let's Fight the Landlord (Real Players Version) won “the Most Relaxing Chess & Cards Game of the year of 2017” with its own performances and high industry influence, under the witness of many leaders and elites in the global gaming industry. Last year, ZEN-GAME also won JIANFU Award “the Best Mobile Issue of the year for 2016”. Being awarded two years in a row is a reflection of ZEN-GAME’s solid competence. 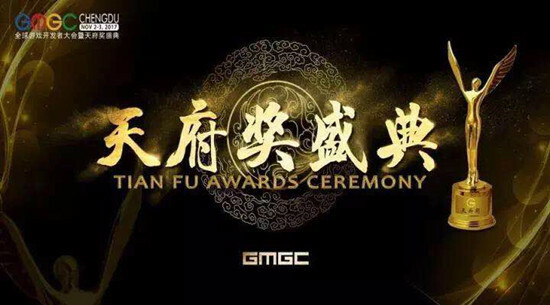 TIANFU Award, hailed as an “Oscar in the gaming industry” by industry insiders and the gaming media, was founded by GMGC and is an annual ceremony in gaming field. It evaluates and selects excellent products, companies and people in gaming industry so as to provide recognition for excellence and pay respect to those devoted practitioners who strive to improve China’s gaming products competitiveness and push the entire market to perpetual development and improvement. ZEN-GAME’s product winning the award of the most relaxing chess & cards game shows precisely the contribution ZEN-GAME has made to the field of chess & cards games in the past year. ZEN-GAME has been doing its best to build a first-class recreational competitive & entertaining platform and has been focused on developing and releasing relaxing games. Ever since Fight the Landlord Everyday (Real Players Version) was launched, ZEN-GAME has kept close cooperation with all important channels and obtained their consistent recognition. ZEN-GAME always serves its millions of players with the best game experiences and is beloved by players. Its registered user base has exceeded 100 million, far beyond its peers. In the future, ZEN-GAME will keep working hard, improving products quality and sincerely cooperating with M.H.A to enhance prosperity to the mobile phone gaming industry.